Oh I love this!! I hope you are able to find the time to sit down and write your story!!! 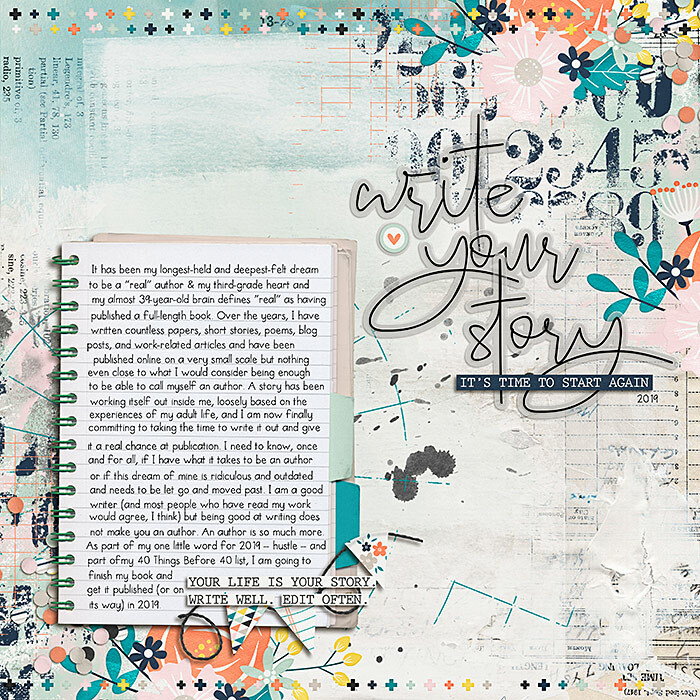 Love the artsy, emotion that you captured with the elements on this page, but the journal--that's where you get the feels!! Good luck!! This is great! I love your words. ABSOLUTELY! I can't wait to read it! You have such a gift with words. And also I love this layout.